When a problem with a tree cannot be solved by pruning techniques or other means, removal may be necessary. 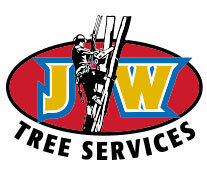 In the event it needs to be removed, the professional team at JW Tree Services will dismantle it efficiently. Pruning may be necessary to maintain a tree in a safe condition, to remove dead branches, to promote growth, to regulate size and shape or to simply improve the quality of flowers. We offer a leading arboricultural service to domestic and commercial clients across the Sydney metropolitan area. Whether you require an experienced tree surgeon for emergencies or a trained arborist that can keep your garden looking its best, we can help. We take pride in being able to give our clients an assurance of the highest level of quality, experience and technical expertise. We are a highly trained team offering a friendly and efficient service with impressive results across a wide range of jobs. These includes tree pruning, tree removal and hedge trimming. We handle all aspects of the task – from diagnosing the problem, to finding the safest and most cost-effective solutions and carrying these out with the utmost care and respect for your property. From decorative hedge trimming to stump grinding, our services help ensure that wooded outdoor spaces are not only attractive, but safe. To find out how we can help you, and to book a tree surgeon in Sydney for your home or business, please don’t hesitate to give us a call. Please note that council approval may be required before our work can take place.